One of the things that first attracted me to the church I currently attend is that there is a sister church in Cuba. I didn’t even know this was allowed in Cuba until I started attending PUMC. I have visited Cuba twice, & have a heart for the people of my parents’ motherland. I’ve become very involved with our sister church Iglesia Hefziba in Consolacion del sur, Pinar del Rio. 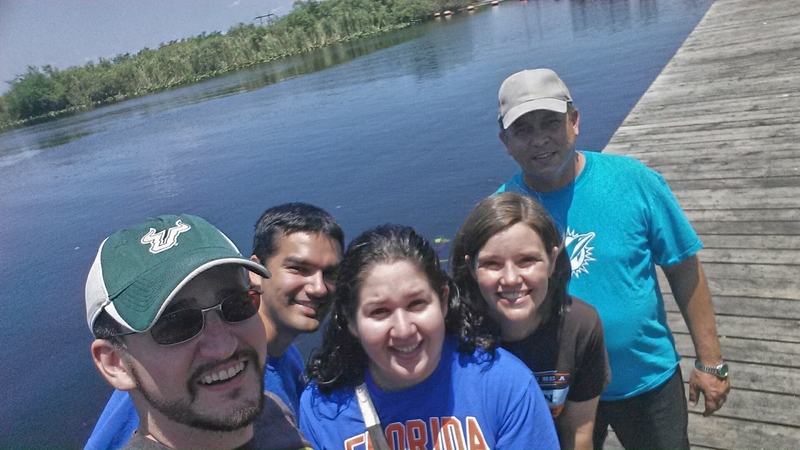 PUMC visited Iglesia Hefziba in January, & then invited the Pastor to come visit us here in the US. Thankfully, he was granted both his exit visa from Cuba & his tourist visa here in the US. He arrived last week, & stayed with my husband & me for 2 nights before going to another family’s home. It has been a lot of fun showing him new things. Pastor Oscar has been to the US before, over 10 years ago, but there are so many differences between life in Cuba & life in the US. For example, in our house he had waffles (of course my husband made him waffles) for the first time ever. He loved them! 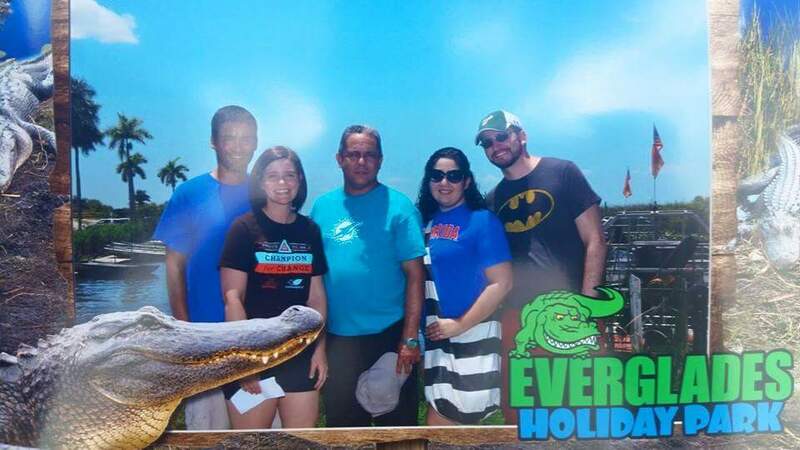 This past weekend we took him to the most Florida place of all Florida. No, not Disney World. We had a lot of fun! Our friends Beth & David came with us. 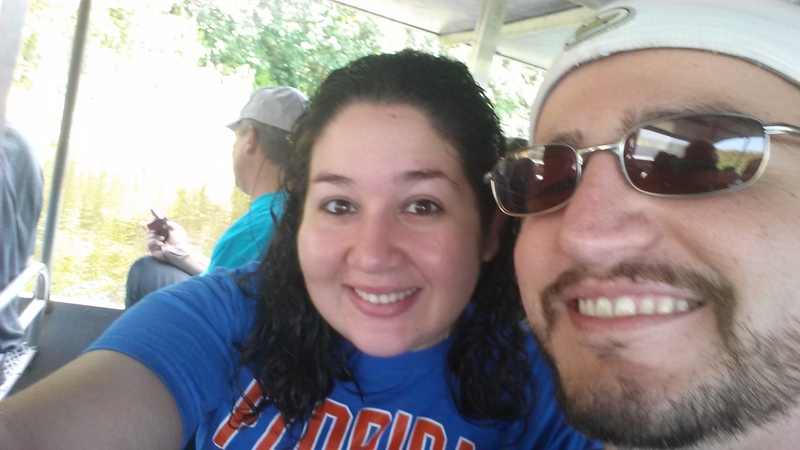 It had been like 15 years since I was on an air boat. 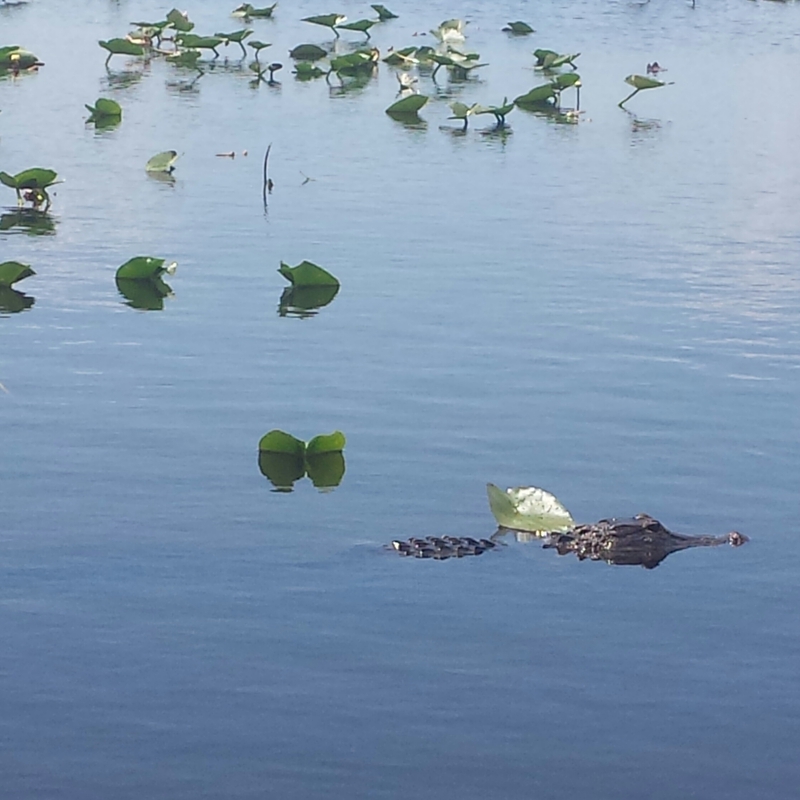 We saw alligators & lots of other animals. 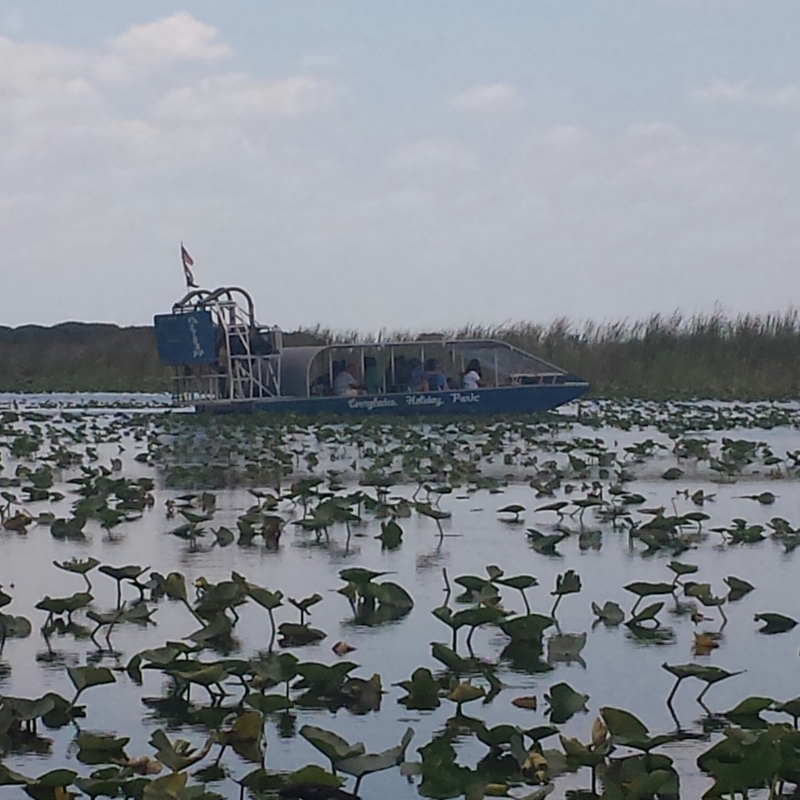 Pastor Oscar’s favorite part was when the air boat went fast. Those things can get to over 50 mph! 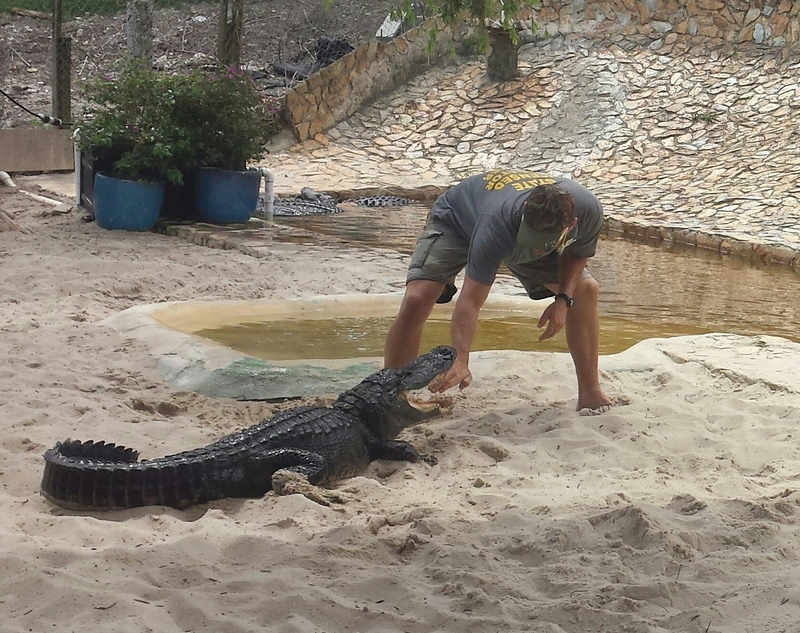 After the air boat ride we saw a gator wrestling show. This guy is crazy, but hilarious. He’s from the show Gator Boys on Animal Planet. My husband has been so great with Pastor Oscar. He was a very gracious host & he’s more motivated now to work on his Spanish! I cannot express enough how grateful I am to have such a wonderful man to call my husband. I’m really glad that Pastor Oscar is enjoying his time here, but I can’t help thinking about the fact that he has to return to Cuba soon. He runs his church out of his home because building churches is illegal in Cuba. Beef is illegal in Cuba. The internet is mostly illegal in Cuba. Pastor Oscar tells me that flying the Cuban flag is illegal for private citizens in Cuba. Cuba breaks my heart. My mom was 6 months pregnant with me when she & my dad came to the US. I am one of the lucky ones to be born in this country. I didn’t do anything except have parents who were lucky enough to immigrate here. I still have family members in Cuba that aren’t so lucky. The good news is that we all have a God who answers prayers & sent his son to save his people. Please pray for Cuba with me. ← Wedding Wednesday – Taking Pictures Together Before The Ceremony Without Peeking!